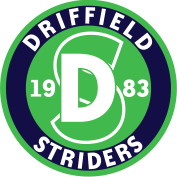 A huge well done to all Driffield Striders and supporters for their effort and commitment. A monumental cross country season as the Driffield Striders men won the xc league for the first time in history and many runners from the club also won awards in their age categories. Driffield Striders and Woolley & Parks are proud to present the 5th annual running of the fantastic Sledmere Sunset 10k Trail Race Friday 14th June 2019 – now sold out! 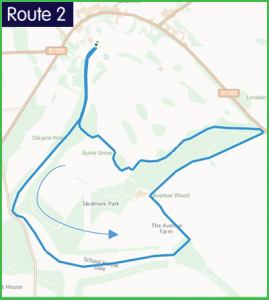 The Sunset Trail 10K takes a winding route through deep chalk valleys and secluded woodland paths to finish on the wide sweeping lawns in front of Sledmere House. Here are the dates for the XC races for this season. All races are scheduled to start at 10am. Race numbers to be collected from David Parkin and retained for each race. Members of Driffield Striders are looking forward to entering the Wolds Way Relay Challenge. Follow our facebook page for regular updates and ‘live’ feeds throughout race day. A Ten Leg Relay Challenge Run limited to 25 teams from local UKA Affiliated Athletic Clubs. This is not an official race but timing will be provided. On behalf of Club’s a Team Captain must enter each team. After entry they will be contacted to supply team member’s details. Entry fee is £50 per Team (£5 per runner), this is to cover costs and supply a memento, a donation of £1 per runner will also be made to National Trails who maintain the Yorkshire Wolds Way. The route is following the official Yorkshire Wolds Way starting at Hessle Foreshore (7.30 am) and finishing at Filey Brigg. There will be no additional waymarking or marshals. It is therefore essential that teams recce the route/legs in advance. Eight of the ten legs vary in distance from 7 to 9 miles the two remaining legs are 5 and 3 miles. The provisional start date for Junior Striders is to be Thursday 12th April 2018 at the running track at the secondary school 6pm-7pm. A great night was had by all. Well done to all runners that took part and a big thankyou to all marshals, helpers and supporters. 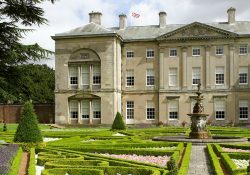 Welcome to the evening trail 10k in the beautiful grounds of Sledmere Estate located 5 miles from Driffield in the heart of the Yorkshire Wolds. 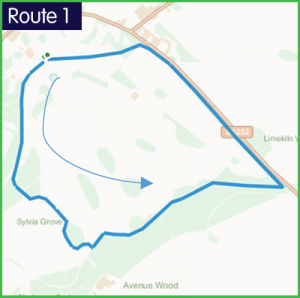 The course is a small and large lap with ground conditions ranging from grass to hard chalk paths. There are no deep sections of mud however there are some very uneven sections and surfaces could be slippery in wet conditions. The start is in front of the house and is the same as the start for the fun run. For the 10k runner continue for a second lap, passing through the start and completing a larger lap, finishing with a fast flat and downhill chalk path before a final uphill 400m to the finish in front of the main hall. Parking is directly off the B1253 and will be in the house car park or across the road in the gallery car park, follow signs. Please follow the directions of the car parking attendants. The start is a very short (2min) walk from the car parks. Portable and permanent toilets will be available near the car parks. Local sports physio, Barrie Kitching, will be offering pre and post race massages. Donations for his services are being donated to Hull and East Riding Institute for the Blind (HERIB). The café will be serving take away drinks and sandwiches on the evening of the event and seating will be available on the terrace outside. Please respect the grounds and take all your rubbish home with you. Dogs are allowed in the grounds but must be on a lead at all times. This is a private estate and the course is not on public footpaths or land so please do not run the course before or after the race.